Responsibilities: The County Manager is the chief administrator of the County. This position is appointed by the Board of Commissioners and serves at the Board’s discretion. The major duties of the County Manager include supervising and coordinating the activities of the County departments for the Board; seeing that all orders and policies of the Board are carried out; making recommendations on appropriate matters of business; recommending an annual budget and advising the Board on the financial condition of the County; representing the County in business matters with other parties, and performing other duties assigned by the Board. Responsibilities: The County Attorney attends the Board of Commissioners’ meetings for the purpose of providing on-the-spot counsel and obtaining first-hand information on immediate and contemplated Commission action. The County Attorney and staff provide advice and service to County Officials and Departments. The county attorney represents all departments and officials in litigation and handles any suits against the county. 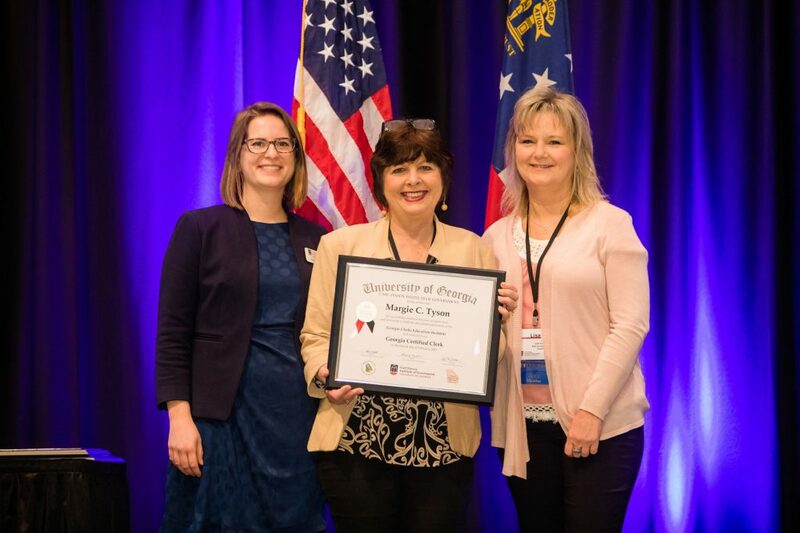 On February 4, 2019, Jones County Clerk, Margie C. Tyson, was honored for her completion of the Georgia Clerks Education Institute Certificate Program at the Jekyll Island Convention Center. The certificate is a 101-hour program of classes developed in cooperation with the University of Georgia Carl Vinson Institute of Government, the Georgia Municipal Clerks Association and the Georgia County Clerks Association. The classes are taught by Institute of Government instructional faculty and local government professionals. The curriculum begins with the 15-hour state mandated training for new clerks and continues with topics relevant to clerks’ duties as well as professional development and management subjects. Responsibilities: This position is the official custodian of records for all actions taken by the Board of Commissioners. Responsibilities include preparing and publishing agendas, preparing minutes and the informational notebooks for the board meetings, distributing the board actions to the constitutional officers and department heads, and maintenance of the records. The Board of Commissioners have the authority to appoint a clerk who shall be a competent bookkeeper, whose duty is to keep all the records pertaining to the county’s business. The commissioners shall have the authority to fix the compensation of the clerk who shall serve at the pleasure of the board. Said clerk shall be appointed for a term of four years to coincide with the term of the newly elected board. The duties of the clerk shall be restricted to clerical work only. 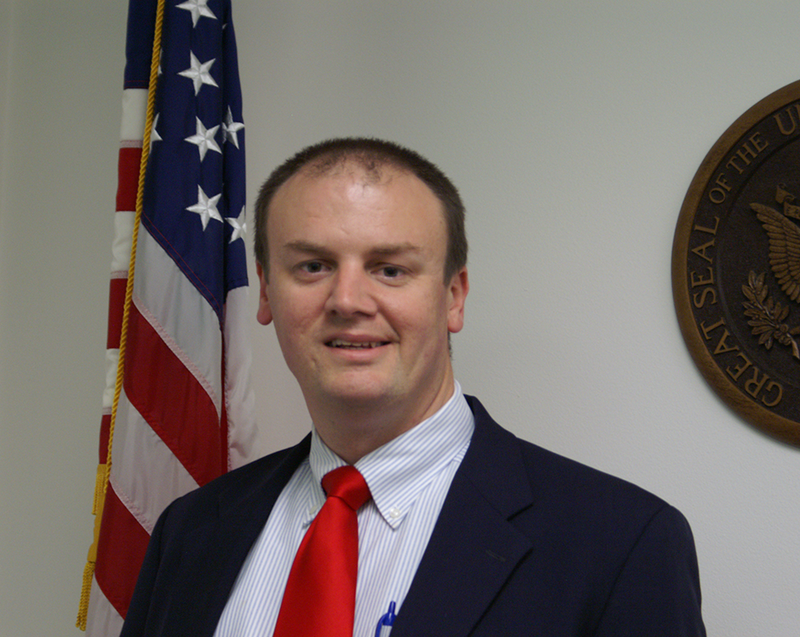 Open Records Request can be e-mailed to margie.tyson@jonescountyga.org. Those to the Sheriff’s office can be e-mailed to Debbie Douglas. email – ddouglas@jcsheriff.org. *The County Clerk is appointed every four years with each new Board along with the County Attorney.